Until today we wrote about Barcelona city for travellers and tried to give detailed information about tourist attractions in the city but still there are lots of things in mystery and interesting facts about Barcelona city. We will not give a number like 10 interesting facts about Barcelona city but will write both fascinating and mystical things about this amazing Mediterranean city. There isn't anyone who doesn't know Sagrada Familia's architect if he/she is interested in Barcelona city. 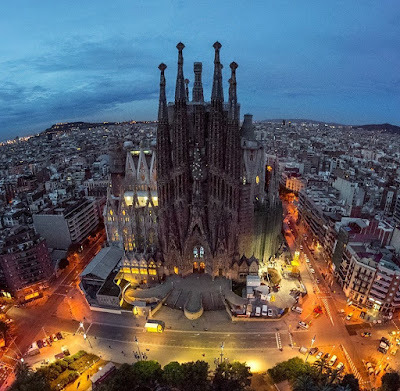 Even though most of us know Antoni Gaudi was the only architect of Sagrada Familia Basilica he wasn't the original one ( For more info about basilica please click). For one year Francisco de Paula del Villar y Lozano was the architect and after 1883 Antoni Gaudi was commissioned for the basilica and he changed the plan of the design. When it comes to Spain, many people think about the spectacular traditional dance Flamenco but when it comes to people living in Barcelona it is not the same. People in Barcelona doesn't know too much about Flamenco dance. Actually they are interested in much more rock'n roll rather than Flamenco when compared to other parts of Spain but of course it doesnt mean that you can't find great Flamenco dance shows in Barcelona. You can click here and learn more about Flamenco. Maybe you have seen and read much about La Rambla or Las Ramblas which is the heart of the city until today but you may have asked yourself why it is written in two different ways. Las Ramblas is the centre of Barcelona city and the name contains plural ''s'' as it's divided into 5 streets which flow into each other. 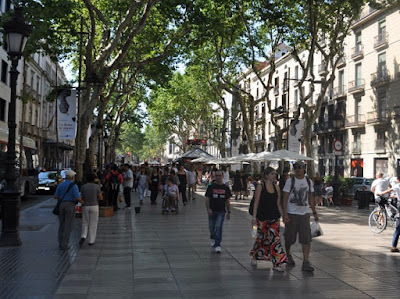 So Las Ramblas is not a street orginally as it is a boulevard made by combination of five streets Rambla de Canalets, Ramblas dels Estudis, Rambla de Sant Josep, Rambla del Caputxins and Rambla del Mar. Please click if you want read more about Las Ramblas. Barcelona is popular with its great sandy beaches and in many galleries in social media you can see these stunnig big beaches but did you know that there were no beaches in Barcelona until 1992? Yes this is really big question but thanks to Olympic Games in 1992, Barcelona government decided to take away the industrial building from the beaches and these natural sandy beaches arose. Now Barcelona city is popular with its pure and clean beaches. 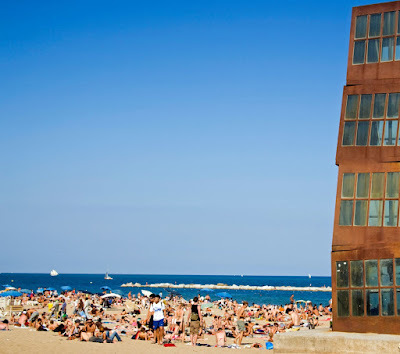 For more information and photos about Barcelona beaches please click. Please follow your Barcelona city guide for a better Barcelona travel. More interesting facts about Barcelona city will be at our site in the next article. Have fun while reading.